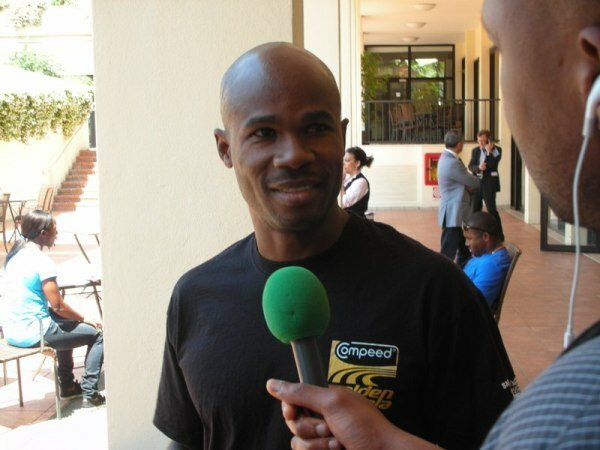 Kim Collins from Saint Kitts and Nevis is the 2003 World Champion for 100 meters. Recently, he won a bronze at the 2011 World Championships in Daegu. His longevity is impressive… he represented his country at the Summer Olympics 4 times from 1996 to 2008. 2012 will be his 5th Olympics. Yes, he just turned 36 years old in April! I had a chance to interview him at the 2012 Rome Golden Gala press conference. I was tired of the same-old same-old “how are you gonna beat Bolt” questions! How are you preparing for the Diamond League series with the Olympics in the middle? What do you think of 3 rounds vs 4 rounds for the sprints? How are you and Saint Kitts & Nevis preparing for the 4×100 relay? As of May 20th, they are ranked 8th going into the Games.